The family law body, which represents 6,500 family justice professionals across the UK, said divorce must “protect the long-term interests of children of separating couples”. In its report, it said the current fault-based system leads to conflict and confrontation and is particularly harmful to children. Due to this, the group is now calling for the immediate implementation of no-fault divorce. 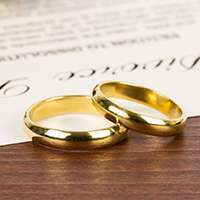 Under current legislation, couples are required to live apart for at least two years or blame the other partner by alleging adultery or acting in an unreasonable manner. The no-fault divorce campaign has seen successes in recent months, however, with the Justice Secretary David Gauke announcing a consultation on reforming divorce law. Likewise, a large majority of the public support removing blame from the divorce process. According to a recent YouGov poll, 79 per cent of the population agree that conflict arising from divorce or separation can negatively affect children’s mental health. Meanwhile, 77 per cent of the population believe that conflict could affect a child’s academic performance and two thirds feel that social interactions and the ability to form “healthy romantic relationships” could be threatened by an acrimonious separation. Those opposing no-fault divorce say reform could result in higher divorce rates, although there has been no evidence to substantiate this. Commenting on the report, Margaret Heathcote, National Chair of Resolution and family lawyer, said: “We are delighted that the Government is listening to family justice professionals and taking proactive steps towards ending the blame game and modernising divorce law. Posted in Blog, Family Law.